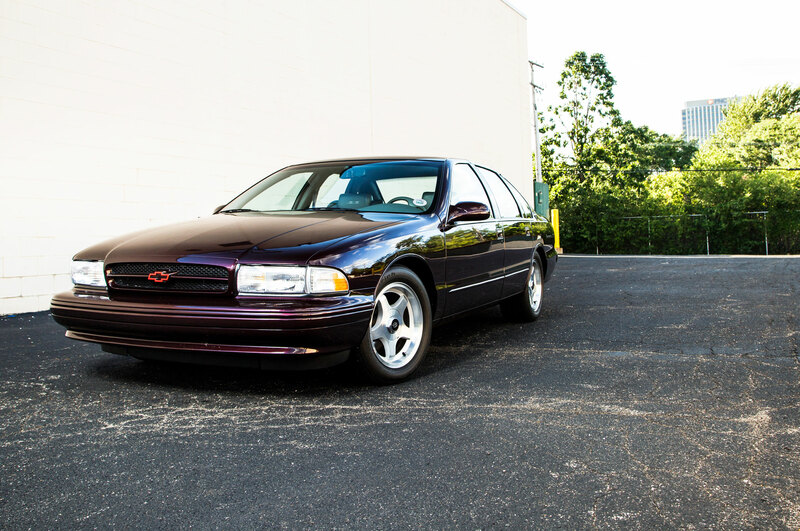 Is this the closest thing to a four-door Corvette? 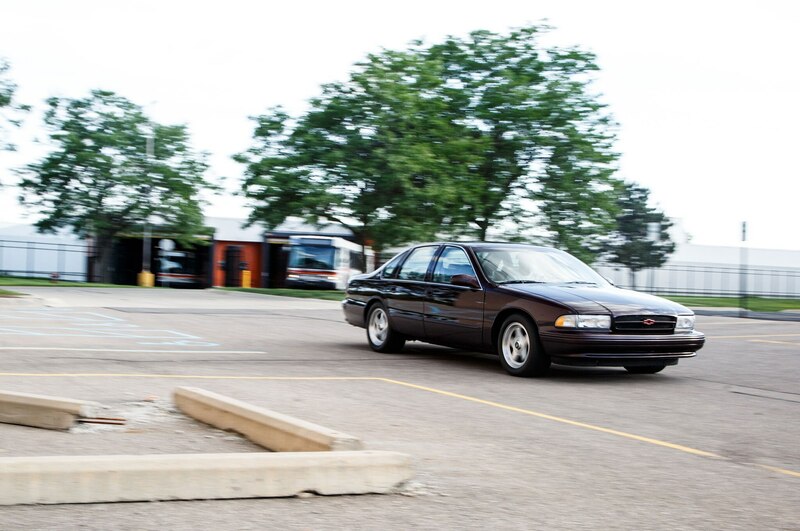 As I drive John Leahy’s 1996 Chevrolet Impala SS down Woodward Avenue, he sits shotgun and tells me tales about his heyday spent racing muscle cars along the storied road in Detroit. Chevys squaring off against Fords, Tri-Power Buicks against hopped-up Pontiacs, big-blocks rumbling up and down all night long. Today, we’re just cruising. 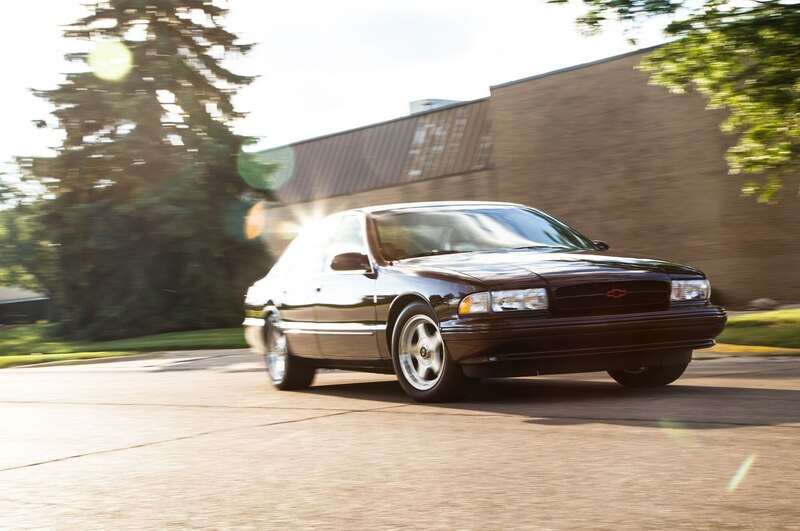 The Impala SS wouldn’t outrun a modern Honda Accord V-6, and Leahy is more interested in catching up with friends along Woodward than laying rubber at every stoplight. 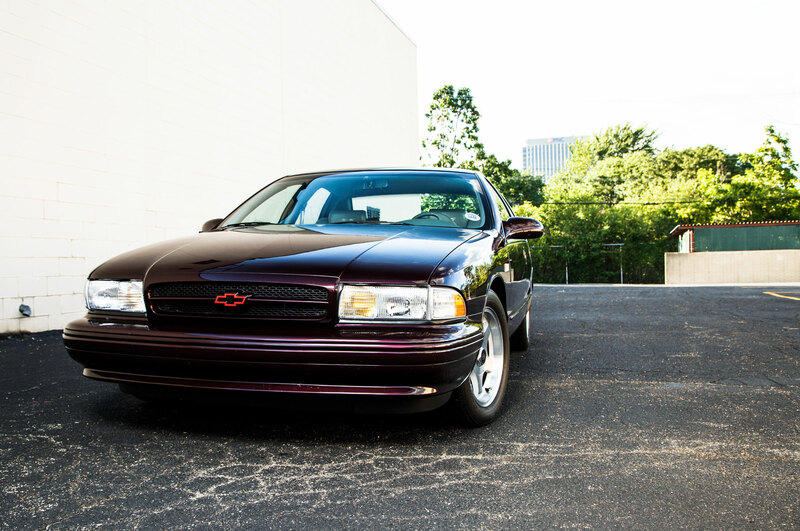 Yet in its heyday, the SS was a bonafide muscle car, and thanks to its subdued looks and four-door body, it didn’t attract as much attention as its performance merited. 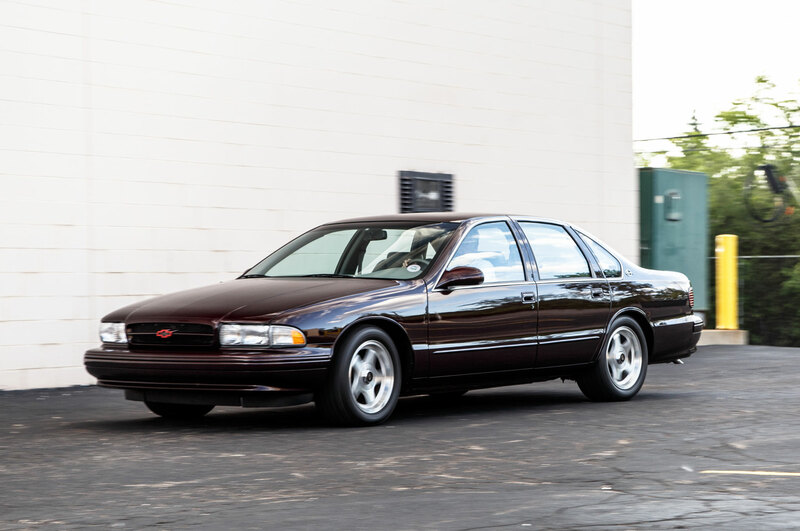 After a hiatus of 25 years, the Chevrolet Impala SS returned for the 1994 model year with all the hop-up parts needed to justify its final two letters. 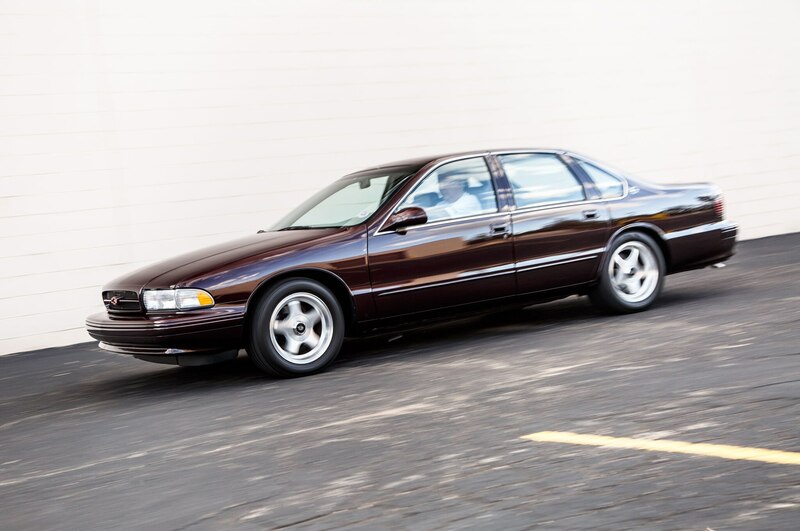 Based on a Chevy Caprice sedan, the SS had a beefed-up LT1 V-8; a lower, heavy-duty suspension derived from the Caprice cop car; larger brakes; a limited-slip differential; and dual exhausts. 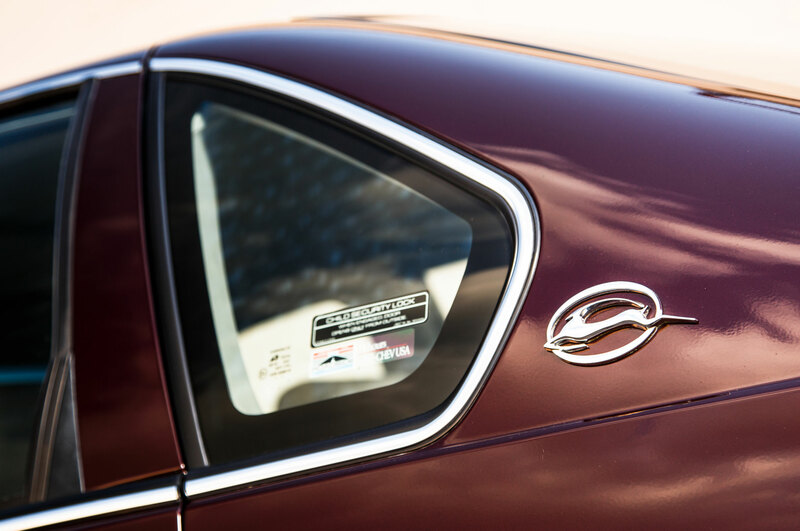 To help passersby tell the Impala SS apart from plebian Caprices, it wore special five-spoke aluminum wheels and a rear spoiler and all its exterior chrome trim was deleted. 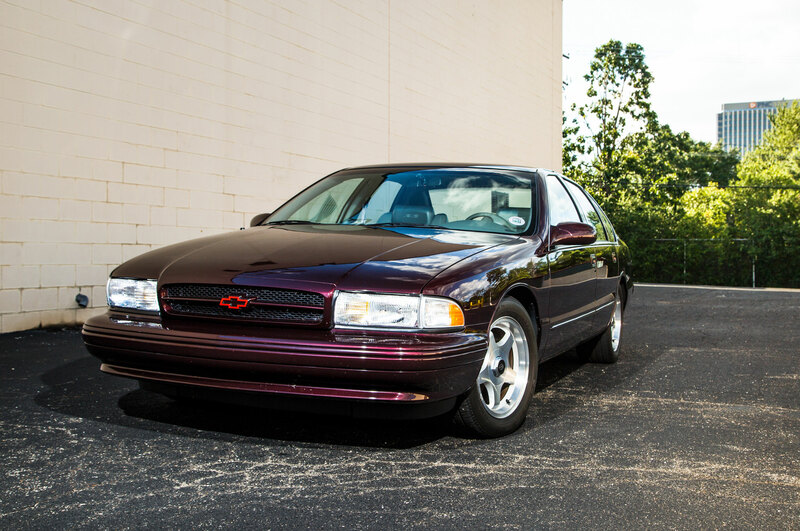 The majority of the cars were painted black, which was the only choice in 1994 until dark cherry metallic and dark gray joined the palette for ’95 and ’96. 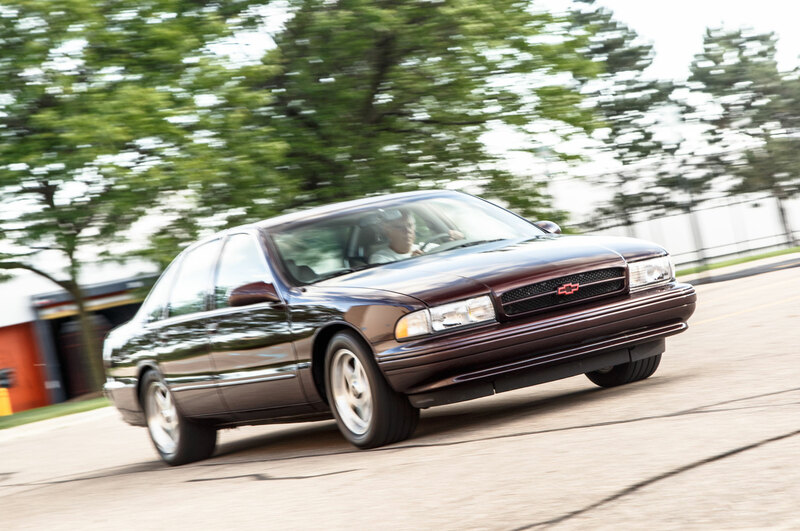 Leahy certainly enjoyed the Impala’s straight-line performance on Woodward, terrifying his wife with full-bore launches and even tagging along on the 2001 HOT ROD Power Tour. 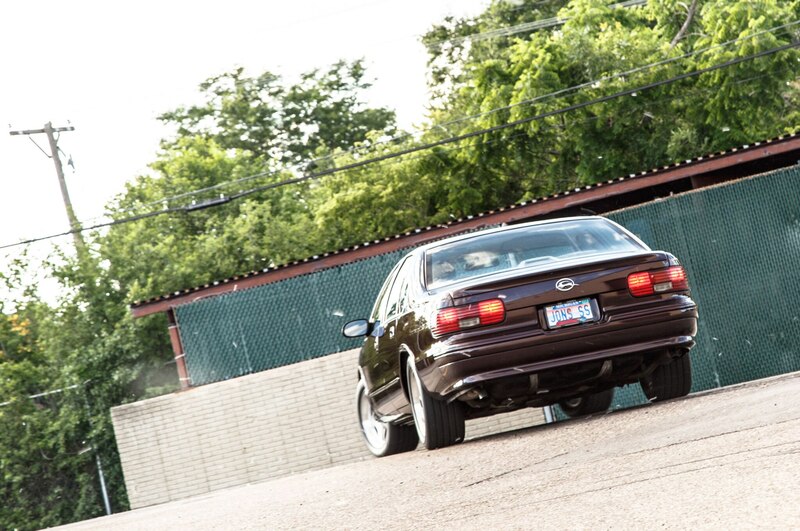 “I call it my four-door Corvette,” he says. 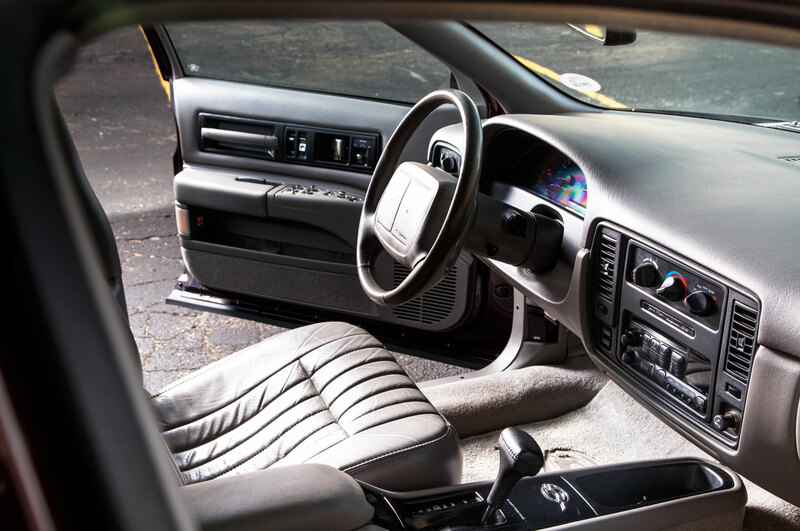 He bought the car, after all, because he ended up selling his 1979 Corvette after marriage and kids arrived, but he still wanted a car that would be fun to drive. 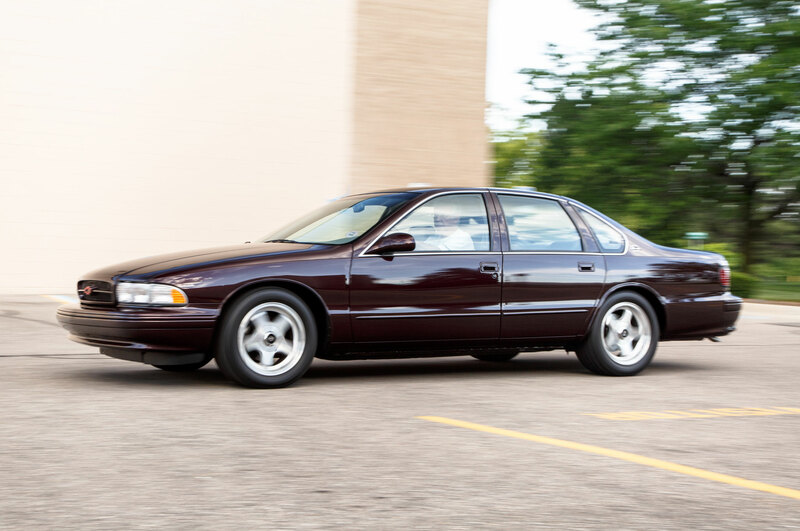 Leahy also appreciated the Impala SS’s spaciousness and comfort, whether for road trips or just for cruising around Michigan. 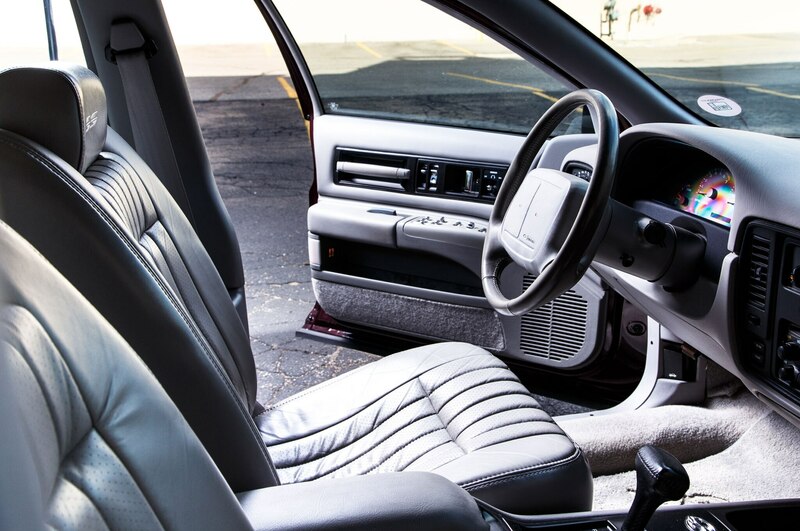 The trunk is enormous (at 20.4 cubic feet, it’s more spacious than the trunk in today’s Mercedes-Benz S-Class), and the back seat has enough head- and legroom to easily accommodate 6-foot passengers. 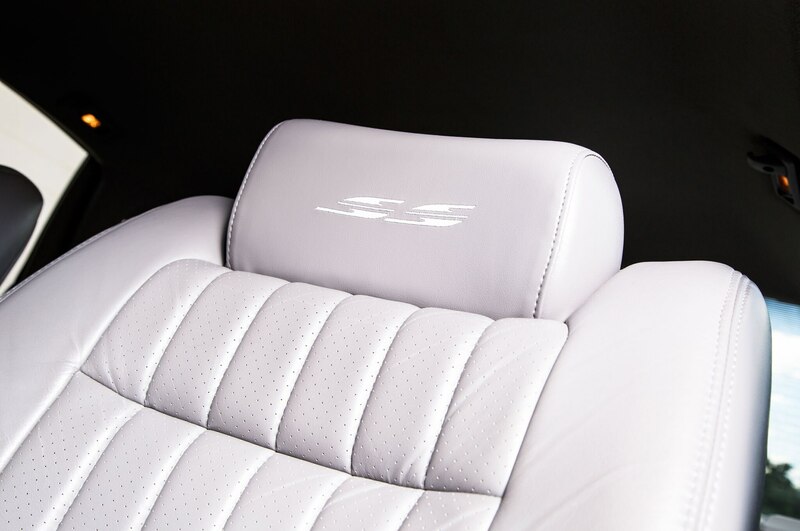 My scalp doesn’t come close to touching the cloth headliner. 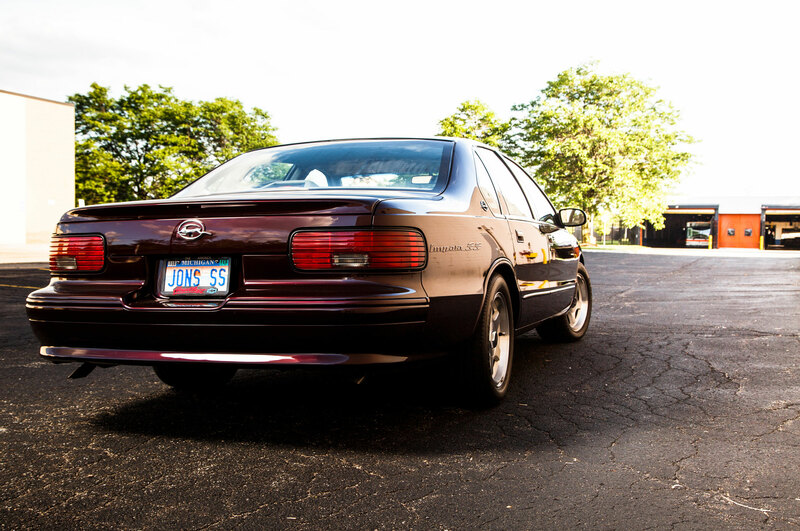 As we leave the Detroit suburb of Clawson, I adjust the power seats and quickly acclimate to driving the big sedan. 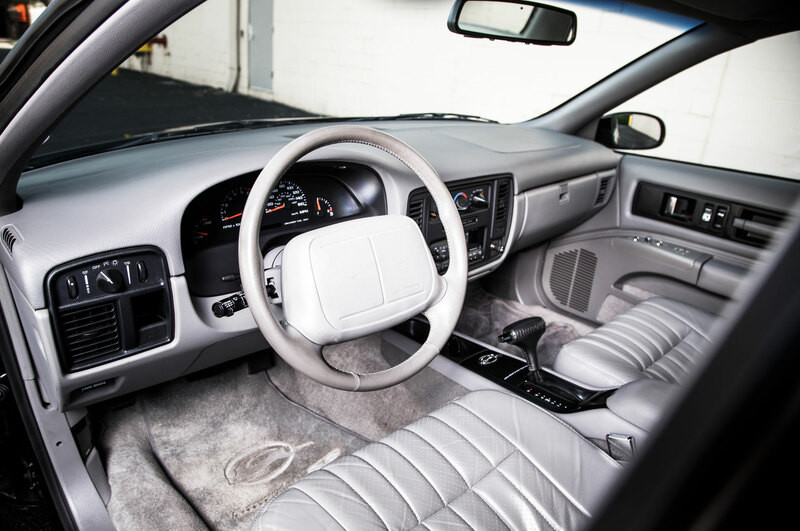 The four-gauge instrument cluster is plain and legible, and both the climate-control knobs and the sound system use large controls that are handily within the driver’s reach. 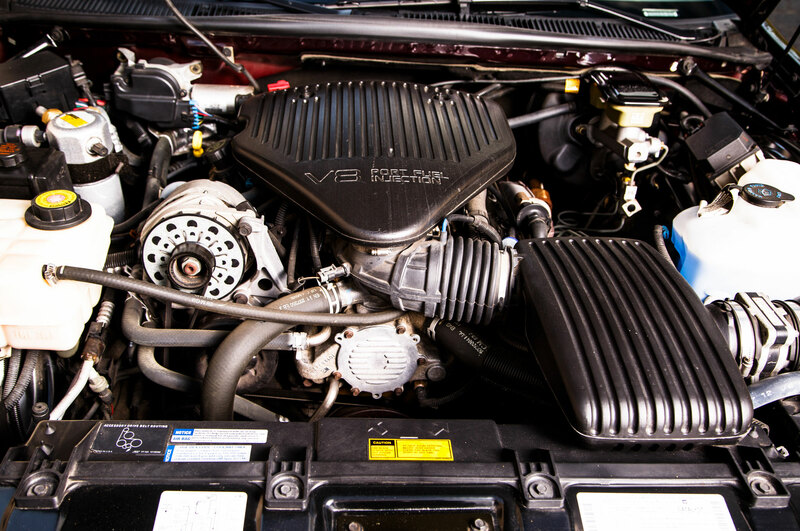 The 260-hp V-8 speaks softly and the four-speed automatic glides between gears gently when we pull away from lights in traffic, though you’ll find plenty of torque on tap when the road clears and you dip deeper into the throttle. 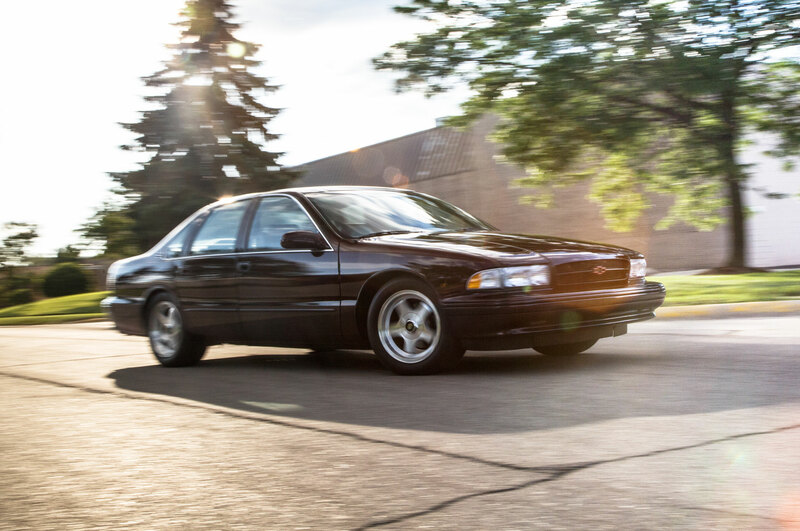 It’s a quick car, but we won’t risk our pride—or Leahy’s immaculately preserved car—by racing anyone on Woodward this time. 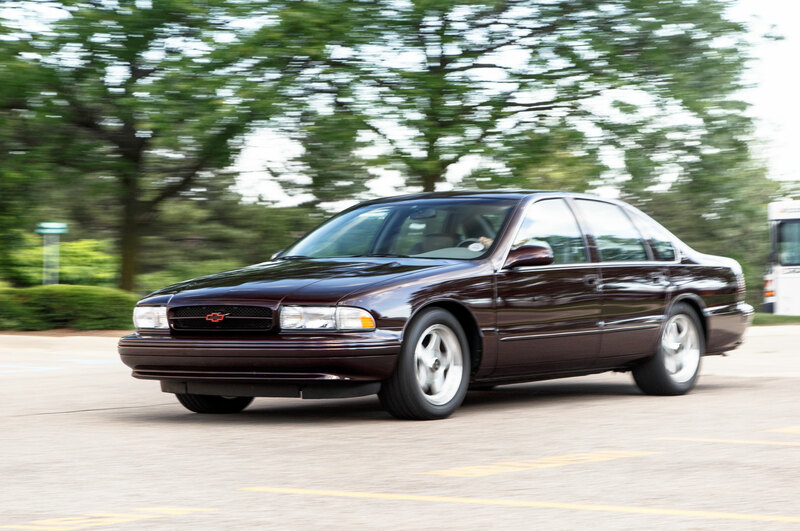 A large-diameter steering wheel and light-effort power steering make it easy to maneuver the big Impala—it’s longer than a modern Chevy Tahoe—although even with the performance-oriented shocks and relatively stiff anti-roll bars, the Chevy wallows around corners. 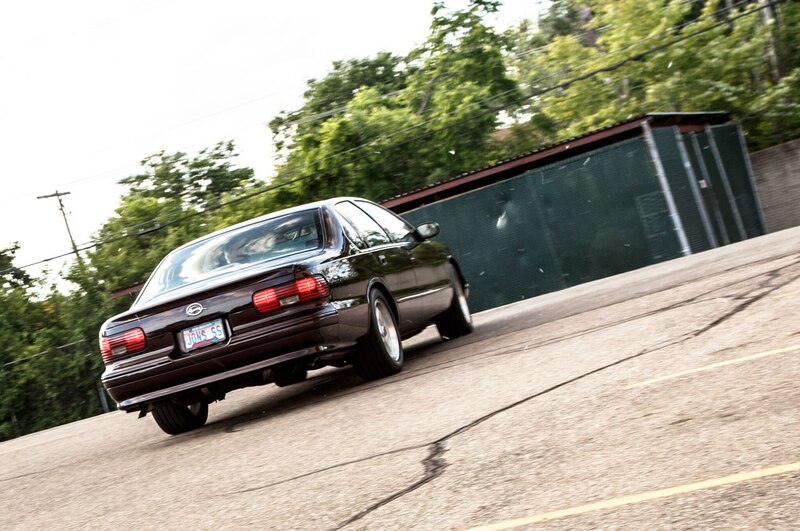 The upshot of the suspension tuning is that the Impala SS is remarkably comfortable for a performance-oriented car. Large 255/50R-17 tires help cushion driver and passengers from pothole impacts; engine and road noise are reasonably subdued; and the wide, flat seats are as plush as leather couches. It’s no wonder Leahy enjoys taking this car on multiday road trips. 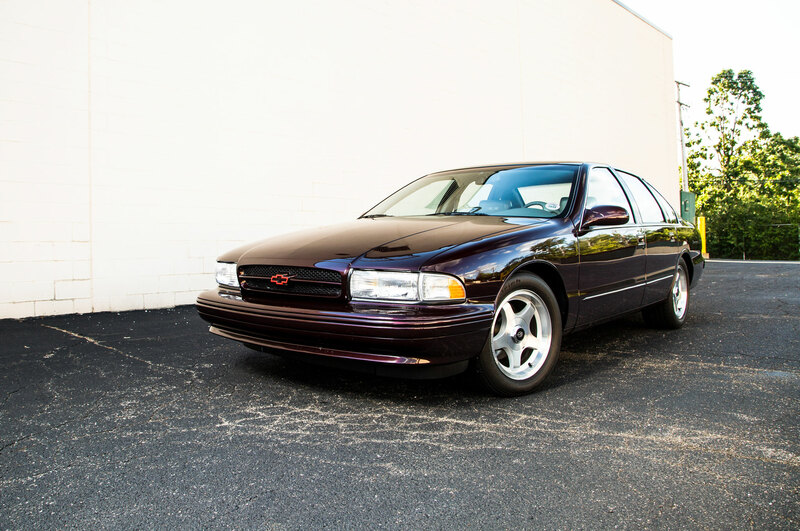 The Impala SS still attracts attention because stuffing a high-performance engine into a family sedan remains a pretty unusual formula. 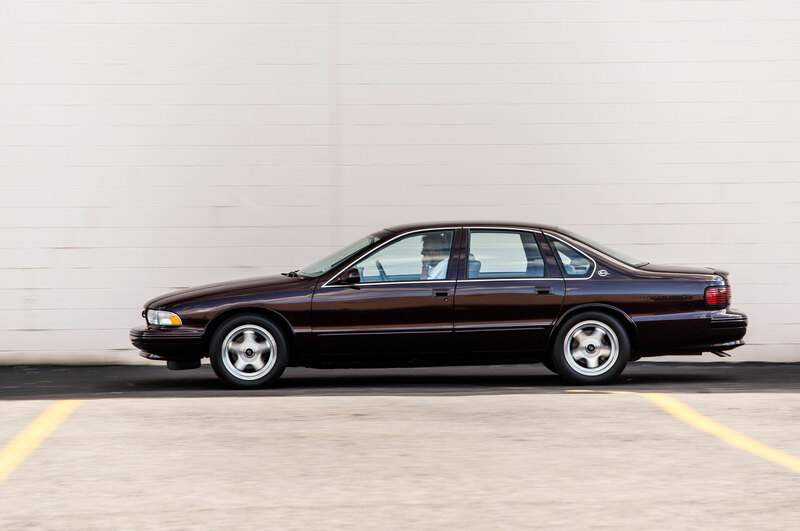 Today’s Chevrolet Impala is far less cool than this one, although the idea of a big, comfortable sedan with a hot V-8 under the hood lives on for a little while longer in the shape of the Australian-engineered, 415-hp Chevrolet SS. 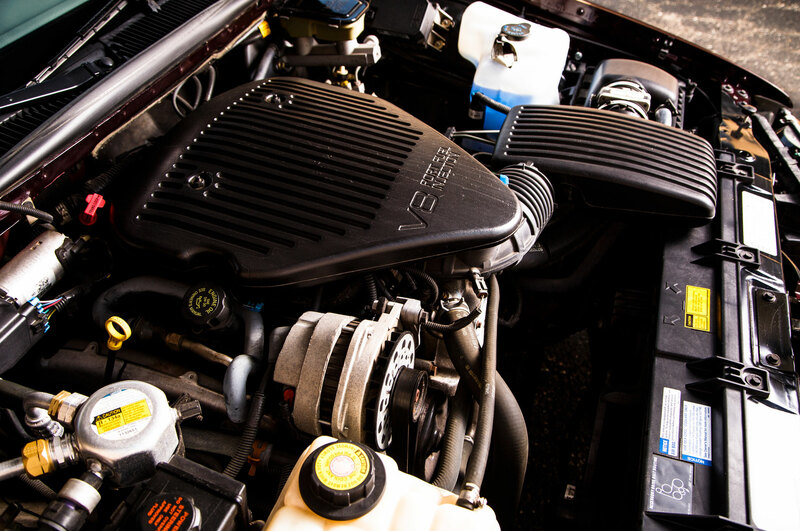 But this type of car is going the way of the fax machine as buyers turn to front- or all-wheel-drive sedans with smaller, turbocharged engines. 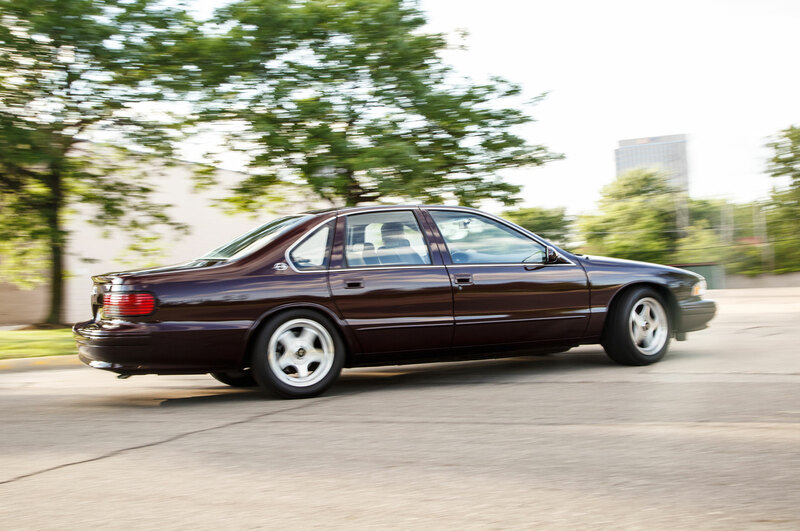 The days of packing a 5.7-liter engine into a big, cushy family sedan are long gone. 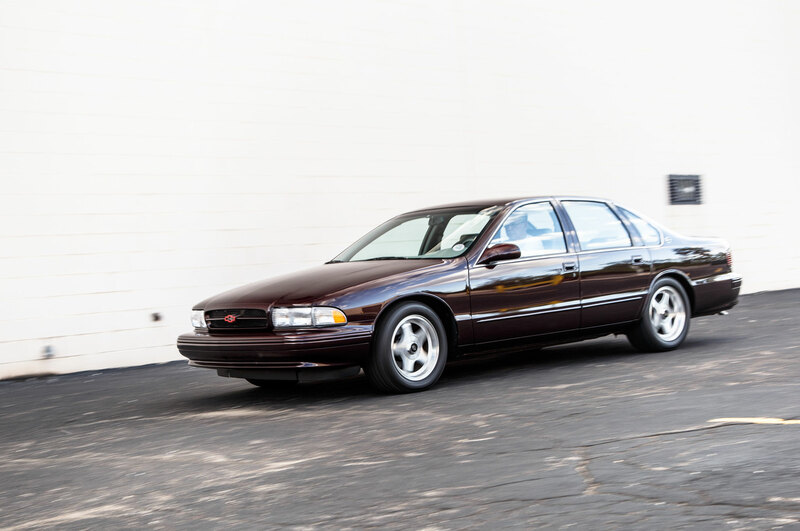 Although the Impala SS is relatively young to be called “classic” and was sold in pretty high numbers to count as a “collectible,” it’s a very special formula that has resonated with gearheads for decades. 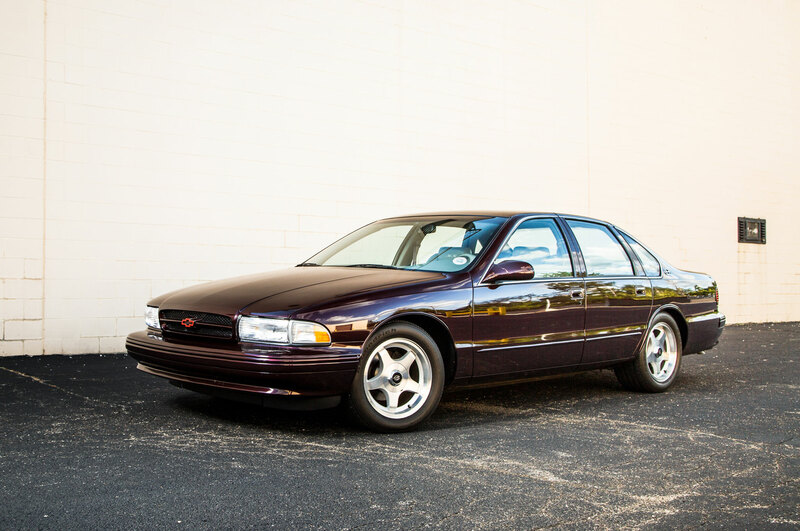 As fewer and fewer of these tire-shredding sedans remain in stock condition (the LT1 engine is easy to hot-rod for more power), and as rear-wheel-drive full-size sedans with V-8s become ever rarer, a well-maintained example like this becomes ever more unusual. 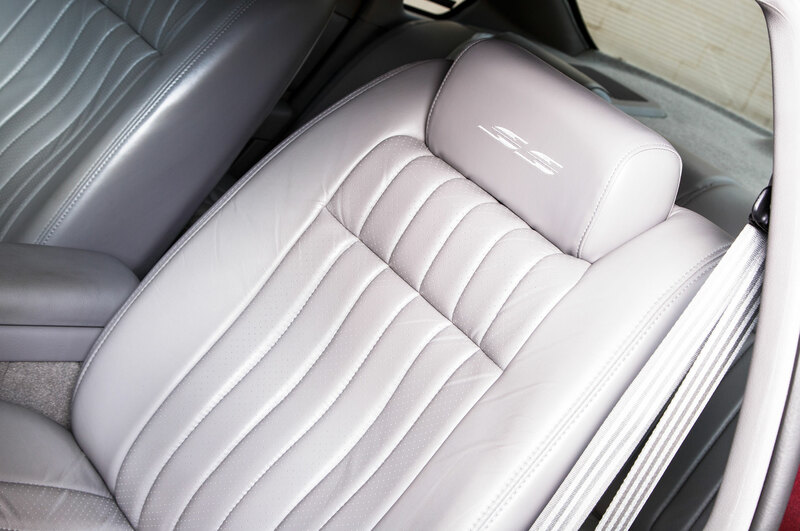 It offers a genuine slice of the American muscle-car experience, but it has enough space to bring your buddies along for the ride. There is clearly demand from buyers, too. 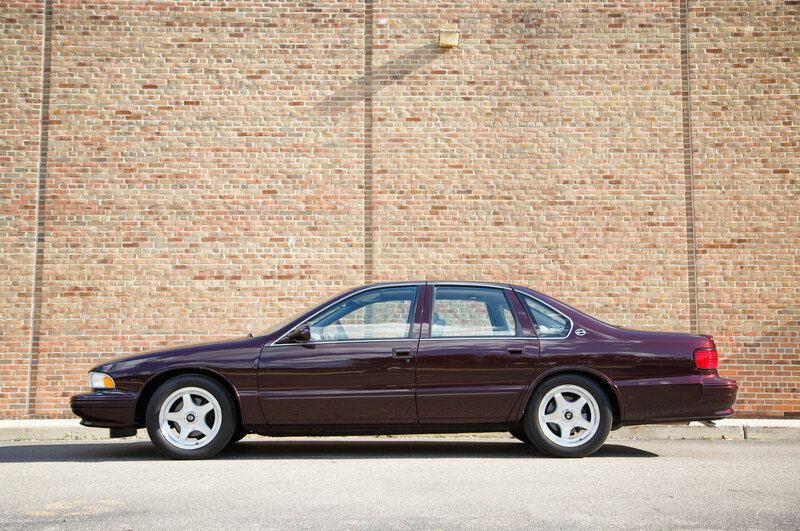 A stranger inquired about buying this car while we photographed it, an occurrence Leahy says is surprisingly frequent. 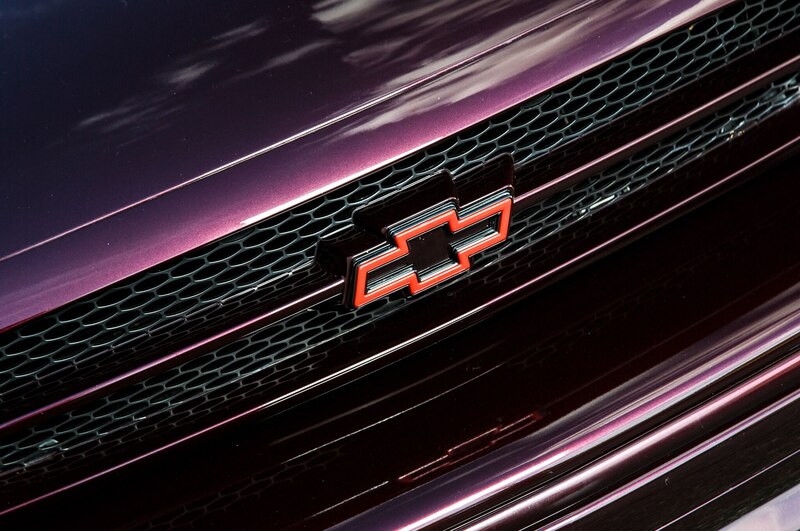 But as much as the idea of a comfortable sedan with big power seems to resonate among enthusiasts, the concept has almost disappeared from the new-car marketplace. 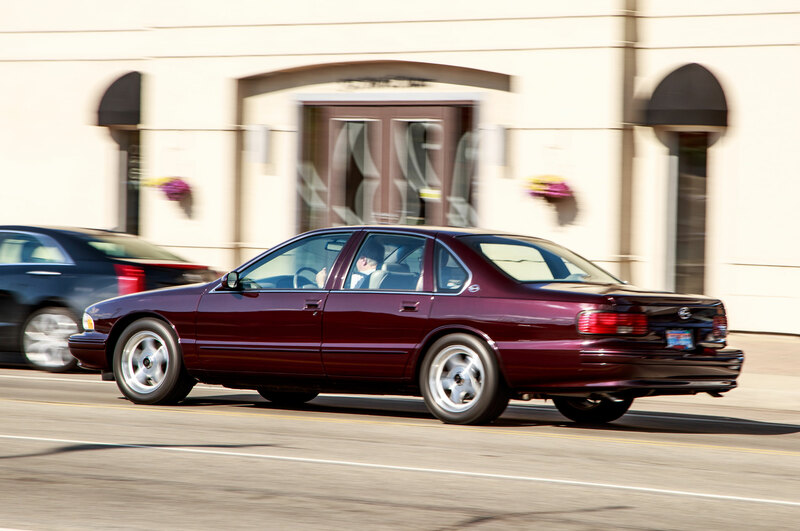 And for that reason, the Chevrolet Impala SS won’t soon be forgotten by enthusiasts.